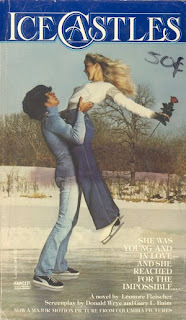 This was my book but I can't remember any of the story. Why can I remember some but not others? 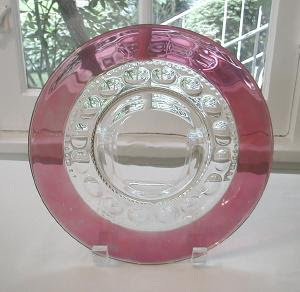 My oldest sister owned this, it was always on her dresser but I wasn't allowed to touch it. Of course I did, but only when she wasn't around! 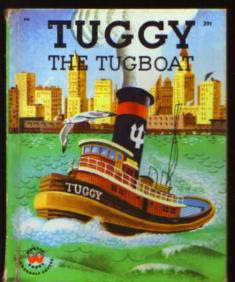 I remember reading this book when I was a teenager but I never saw the movie. We got one of these cameras when I was in high school to replace our 126 camera. 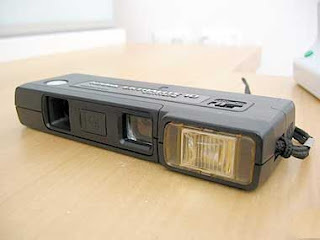 The negatives were really small and the picture quality wasn't that great but the built in flash was cool. 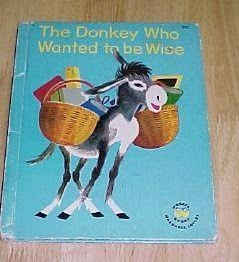 My younger brother owned this book.......it's one of the few books from my childhood where I can't remember the story! 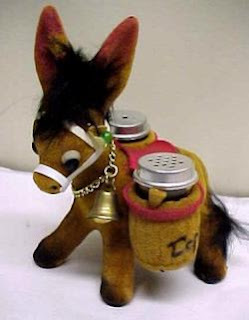 I remember a lot of Mom's salt & pepper sets from her collection, I guess because they were on shelves in the kitchen and I saw them every single day while eating meals. 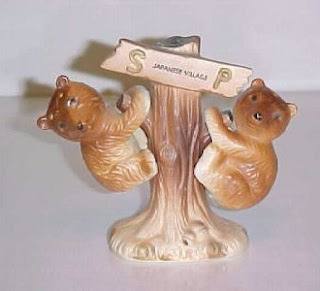 This was one set she owned, probably a souvenir from some town we visited (hers did not say "Japanese Village"). You can barely see this because the photo is so small but it is a plaque for the wall with Capricorn on it and a little saying. My sister owned it. My younger brother got this one year for Christmas. It was a lot of fun. 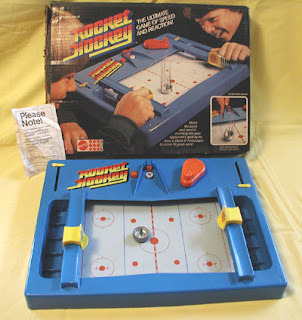 You put the metal "puck" on the side and cranked the handle. Then it went flying out onto the game surface and you had to slide your goal keeper back and forth to prevent it from scoring on your side. 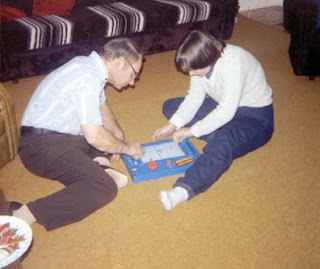 Here is a picture of my father and sister playing it, this was in the early 80's. 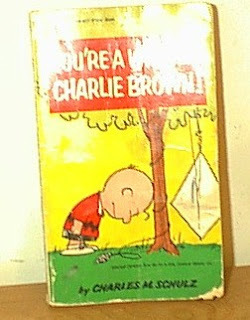 Who didn't love Charlie Brown and the rest of The Peanuts gang? 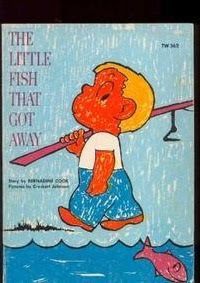 I can't remember if we owned this book or got it from the library but there were always a few Charie Brown books around the house. 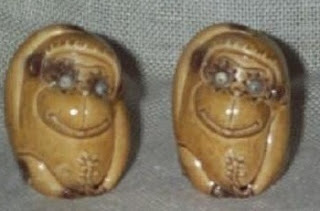 This was a cute salt & pepper set Mom had in her collection, they even had googly eyes. 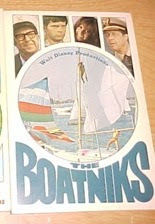 I never saw the Walt Disney movie and I don't really remember the story but the book had pictures from the movie in it. 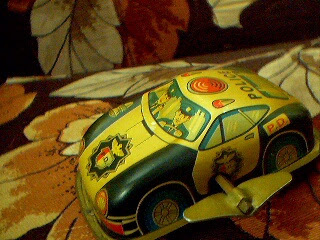 My younger brother had a wind-up police car almost exactly like this one. 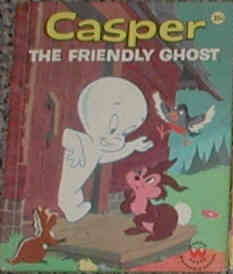 I remember my younger brother having this book. The illustrations were just line drawings with no colour but it was still a well-read book. 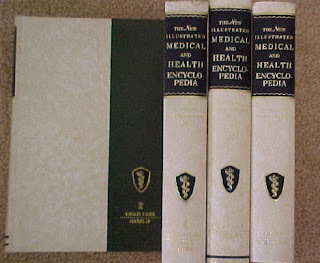 This set of 4 medical books came with our encyclopedia set (which my parents actually bought from a door-to-door encyclopedia salesman!). 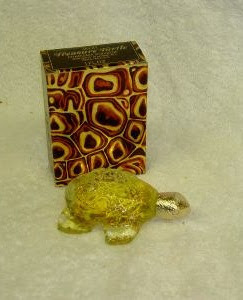 My aunt also collected salt & pepper sets, this was one she owned. I think this was the first perfume I owned, I remember getting a set with perfume and shower gel for Christmas when I was in junior high school. They stopped making it for a long time but I believe you can get it again. My younger brother owned this book. 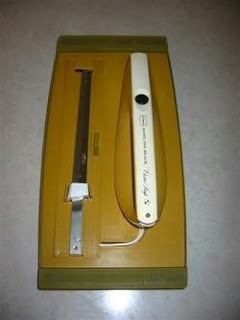 This was mounted on the kitchen wall, the beautiful harvest gold matched out fridge and stove......a true 70's kitchen! Ziggy was very popular when I was a teenager. 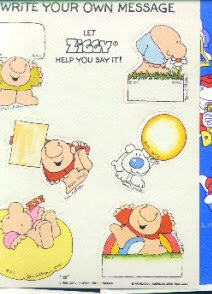 I had these stickers and used to stick them on letters to my penpals.